After nearly 6 months of controversy and tumult stemming from lawsuits on hostile work environment, retaliation, and sexual harassment, on Monday, May 8th, Mickey Kasparian was removed as President of the San Diego Imperial-Counties Labor Council by the American Federation of Labor and Congress of Industrial Organizations (AFL-CIO). The shocking announcement rocked the regional political climate, as Kasparian was one of the most powerful leaders of the Labor Movement and Democratic Party in San Diego County. With local attorney Dan Gilleon leading the ongoing litigation representing the three alleged victims of Kasparian (Sandy Naranjo, Isabel Vasquez, Anabel Arauz aka “Las Tres Hermanas”), a Department of Fair Employment & Housing Act complaint filed in March (filed by Nohelia Ramos Campos), and local media outlets covering the events that led to this point, we want to take a look at the courageous activists responsible for Kasparian’s downfall. Who are these individuals that were willing to risk their own careers, fight for what they believe in, and face the inevitable political backlash from Kasparian and his supporters? The movement to oust Mickey Kasparian and provide support to the alleged victims of misconduct and sexual harassment was grassroots from the start. Hundreds of activists from the progressive community participated in the organizing efforts, from attending marches, creating protest signs, writing letters of support for “Las Tres Hermanas,” making phone calls, leafletting the public and attending meetings. It was a diverse group who weren’t just friends & family of the alleged victims, but also included community members and even former employees of Kasparian. 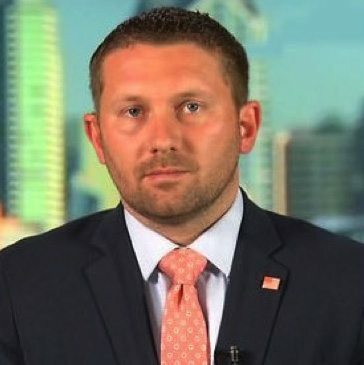 Navy veteran and political/national security consultant Shawn VanDiver met then-UFCW organizer Sandy Naranjo while serving on the Board of Directors for EMERGE California, a non-profit organization dedicated to recruiting and training women to run for elected office. 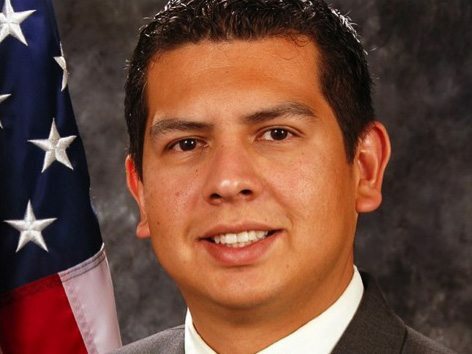 When the story first broke in late December, VanDiver penned the first op-ed in support of both Naranjo and Isabel Vasquez. In it, he praised them for their bravery while calling out leaders in the Democratic Party who remained silent. Irene McCormick, Donna Frye and Marcus Bush stand with Sandy, Isabel and Anabel. 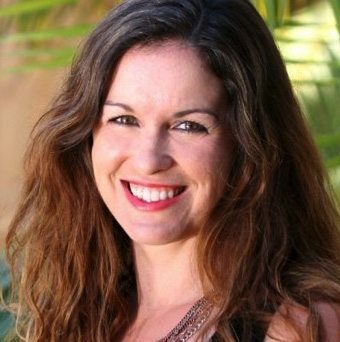 Irene McCormack was the chief communications aide to disgraced former mayor Bob Filner, and the first of several women to accuse him of sexual harassment. Former City Councilwoman Donna Frye stood alongside her when she went public in 2013. Both risked their reputations and political ostracization by speaking the truth and denouncing the most powerful Democrat in San Diego. But they prevailed, and their efforts inspired nearly two dozen other victims of sexual harassment to speak out, leading the Democratic Party and other influential elected officials to pressure Filner to step down. Their experience with the Filner Scandal made their public call for Kasparian to step down all the more powerful. On January 26, 2017 they attended the Labor Council Delegates meeting to address the membership on their concerns, but were barred entry into the building. Immediately following their rejection from speaking to the delegates of the Labor Council, both joined protests outside the meeting entrance and spoke to media outlets. The Democratic Woman’s Club of San Diego County also sent a letter with similar requests. The groups demanded Kasparian be suspended from his position at both the Labor Council and UFCW through the duration of the independent investigations. The letters, sent on February 2, 2017 marked a significant turning point in the effort to oust Kasparian, with prominent leaders of the local Democratic Party voicing support for the accusers, putting further pressure on Kasparian. 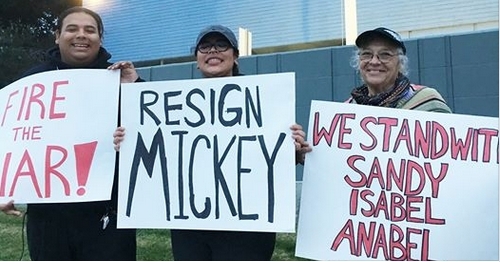 The local environmentalist, Democrat, and self-described idealist, was one of the first individuals to publicly express support for the accusers of Mickey Kasparian. Sara’s involvement expanded from providing support on social media to individually persuading the most influential leaders in the progressive community, as reports surfaced that Kasparian was retaliating against individuals who defended his accusers. 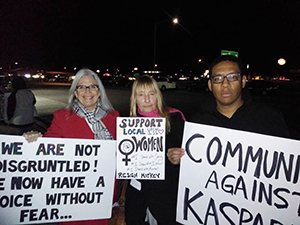 Sara lead the effort to gather signatures of 46 local Democrats in their February letter to the Labor Council, and attended the monthly meeting of the Democratic Woman’s Club of San Diego County in February, where the Club demanded an independent investigation of Kasparian and removal as Party delegate. Of all the community activists, none has been more compassionate in his support of the accusers and savage in his opposition to Kasparian than Brent Beltrán. The Vice Chair of the Barrio Logan Community Planning Group and Board Member of the Environmental Health Coalition met Sandy Naranjo during the campaign to support Proposition C. Although Proposition C was voted down, Brent admired Sandy’s support of environmental justice in Barrio Logan, and when she filed her lawsuit against Kasparian this past December, Brent immediately stood in solidarity with her. Since then, Brent has become the leader of the grassroots movement to oust Kasparian from the Labor Council. He orchestrated a social media campaign to coordinate protests, share articles, and publicly blast Kasparian and any who publicly support him. Due to the number of protests and media attention, Kasparian restricted his appearances at public engagements and the pressure from Brent lead the San Diego Society of Professional Journalists to cancel his appearance on a panel discussion in March. 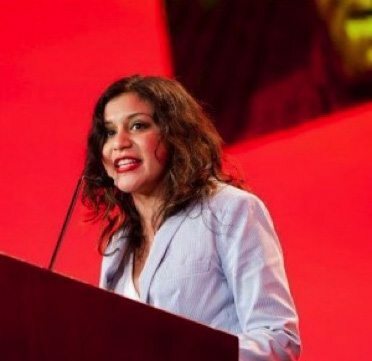 The 36-year-old single mother of three worked for 10 years in the meat department at Vons grocery stores before she became an organizer at UFCW. Immediately after Sandy Naranjo and Isabel Vasquez filed their lawsuits against Kasparian, Isabel claims she began to feel isolation in her job due to her personal friendships with both and willingness to testify on their behalf if requested. (She had known Isabel since she was 17 years old). After years of success as an organizer and being on track to eventually become Organizer Director, Arauz was suddenly demoted to an internal office job as “Internal Organizer”, a position that didn’t exist prior. Not long after, she was removed from her role as a delegate to the Labor Council, and relocated to temporary work locations outside of San Diego. Kasparian fired Anabel in March and she filed lawsuit for gender discrimination, retaliation, wrongful termination in violation of public policy, failure to prevent gender discrimination, and violation of CC §52.1: Interference with Exercise of Civil Rights. Anabel’s demotion and eventual termination drew increased media attention and spurred more activists and protests, which later Anabel joined. Of all the accusations against Kasparian, perhaps the most disturbing were the ones from Isabel Vasquez, which included allegations of sexual abuse and harassment. 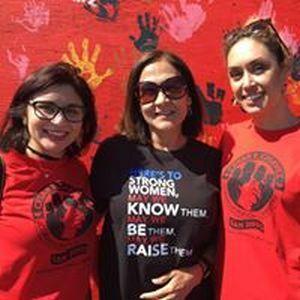 Isabel worked at UFCW for 15 years before she retired, approximately 13 of which she claimed she was exposed to Kasparian’s sexual misconduct. Following Sandy Naranjo’s suit against Kasparian in December, Isabel shared her experience of sexual abuse with Sandy – a trauma which she had kept silent for more than a decade. Isabel also knew of five additional women who had [allegedly] been abused, retaliated against, and wrongfully terminated in the past. Despite her feelings of shame and aversion to public attention, Isabel decided to take a stand against abuse of power and sexual harassment and filed suit against Kasparian. When the details of her suit went public, it sent shockwaves through the Labor Council and Democratic Party. The lawsuit also touched off an outpouring of support from community members and prominent leaders of the Democratic Party. In December of 2016, Naranjo was terminated from UFCW after working for 4 years as an organizer and less than a week after she received an Organizer of the Year Award from Kasparian. She filed a lawsuit against him soon after, citing gender and physical disability discrimination as well as wrongful termination, with local attorney Dan Gilleon representing her. That suit was followed by the even more disturbing allegations and lawsuit from Isabel Vasquez. Soon after, more and more allegations of abuse and hostile work environment came from former employees. 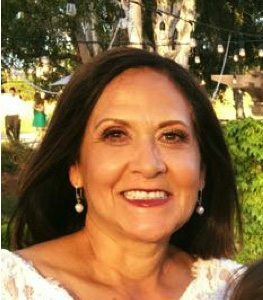 Who could have imagined that one of the most powerful political leaders in San Diego – a man who oversaw a labor council of over 200,000 union workers, influenced Council President appointments, and directed millions of dollars in campaign funds to his favored candidates – would meet his downfall at the hands of a 30-year old Latina from San Ysidro? Did Kasparian have any clue when he fired Sandy Naranjo that she would be the spark of a progressive grassroots movement that would end up toppling his regime at the Labor Council? Although she still has a legal fight ahead of her, Sandy has proven herself to be a consummate organizer, true to her love of labor, deeply-held ideals, and desire for greater justice within the labor movement and San Diego’s progressive community. Update: The original article erroneously referred to the Democratic Woman’s Club of San Diego County as the San Diego Women’s Democratic Club. What’s the Matter With Labor in San Diego? Marcus Bush is a Democratic Party Assembly District Delegate for the 80th Assembly District and former Chair of the National City Planning Commission. Susan, the post has been corrected. Yeah, our own Brent Beltran! Thanks to all who fight the good fight. Justice will reign in The Union!!! A few other people need to be recognized. Retiree Glo Andrade who has been a part of the struggle since the beginning. Activists like Rafael Bautista, Erin Bodhi, Enrique De La Cruz, and Cat Mendonca who have been very vocal. Noelia Ramos and Hector Ramos whose complaints haven’t been as publicized as much as Las Tres Hermanas. Fellow savage Cristian Murguia. Former UFCW staff like Odette McAdams, Debbie Principe, Claudia Gonzales (and husband Johnny) and Isaura Garcia. Current member Chris Lopez. The author of this article, Marcus Bush, played a big role in uniting many of us. It took a community. But this community isn’t done. Great article, can we get a list of the leaders and politicians still supporting him? Why is my council person still taking pictures with him???? I feel like my community is being held hostage! I stand with these women!